It’s been a long time since we heard anything about Unravel 2, the follow-up to the charming little adventure starring a tiny person made of yarn. But it now has a rating from the ESRB, meaning it’s just about ready to release and will very likely be featured in EA’s press conference in Los Angeles later today. Shaun McIlroy, a former community manager for Polygon, spotted the rating early this morning, and tweeted a screenshot from the ESRB’s site. Unravel 2 has received an E for Everyone rating for “mild fantasy violence,” and will be available on PC, Xbox One, and PlayStation 4. Here are the upcoming PC games to look forward to in 2018. As with the first game, Unravel 2 is a side-scrolling platformer that has you using the yarn that makes up your character’s body to swing between platforms and avoid obstacles. According to the ESRB’s rating summary, this time out you’ll control a pair of adorable little Yarnys instead of just the one, which could add some interesting twists to Unravel’s gameplay, such as co-op. EA announced that Coldwood Interactive would be making a follow up to Unravel back in 2016, but there’s been radio silence about the game since then. Even though Unravel didn’t exactly light the world on fire and was a bit on the short side, it had an undeniably unique core concept and a charming presentation that featured beautiful real-world visuals and a quietly loveable main character in Yarny. 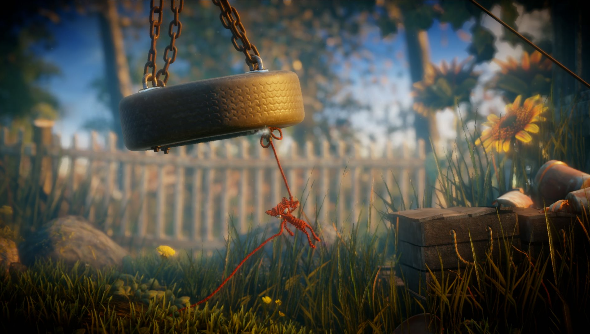 You can look forward to seeing more about Unravel 2 at EA’s press conference, which kicks off today at 11:00 PST.